In today's fast-paced world we sometimes forget what quality food is. With a lack of time, we forgo things such as big Sunday suppers and homemade meals. 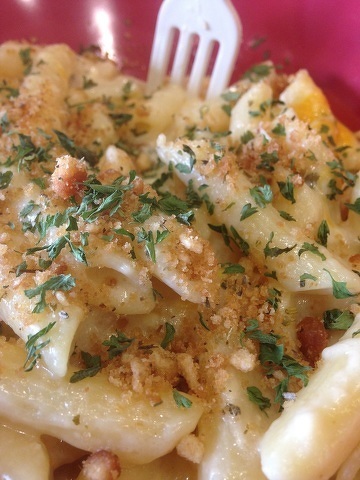 Take something as simple as mac and cheese. You can buy that box of macaroni and cheese with the powder or the liquid cheese, and there’s nothing wrong with it; sometimes you even crave it. However, when making your own, you can be in complete control. You can select the cheeses that work for you, from the varieties to the quality. You customize the flavors to your liking and when you make it yourself you know exactly what ingredients are going into it. Another simple switch — tortilla chips. Why not buy oat bran and whole wheat lavish bread and cut it up and bake them to have your own chips? Think about the nutritional component here; a whole pack of the lavish bread is 400 calories and a bag of Doritos is 1,500 calories. Which sounds better for you and your family? Sadly, people even buy pre-made hamburger patties. Who even knows what’s in those to hold them together or what kind of meat was actually used to assemble them. Folks, it’s not that hard to go to your local butcher, or even neighborhood grocery store and buy some 80-20 ground beef (you need the 80-20 for the fat content and juiciness of your burger) and add your own favorite flavorings to create a dynamite burger for you, your family, or even your biggest supporter in life. I know it’s hard to cook from scratch all the time, but find ways to squeeze it in. You are showing someone how much you care about them when you take the extra time. You save calories, sometimes you save money and finally, you’ll never be disappointed in the taste! Making homemade mac and cheese isn’t hard. It’s actually super, super simple! It will take only as long as that boxed macaroni and this one can be finished in the microwave. Place precooked pasta, cheeses, cream, salt and pepper into a microwave safe bowl. Stir to mix all ingredients together. Cover lightly with press and seal plastic wrap and microwave for 3 minutes. Stir and microwave again, but this time for only 2 minutes. Stir until creamy and smooth. Serve immediately. Having homemade, made-from-scratch items isn’t always that hard; give this a try and I promise you the only time you’ll have the boxed stuff is when you have the hankering for it. Penn State snapped its three game losing streak and handed No. 21 Maryland its first true road defeat of the season as the Nittany Lions beat the Terrapins 70-64 on Tuesday night. 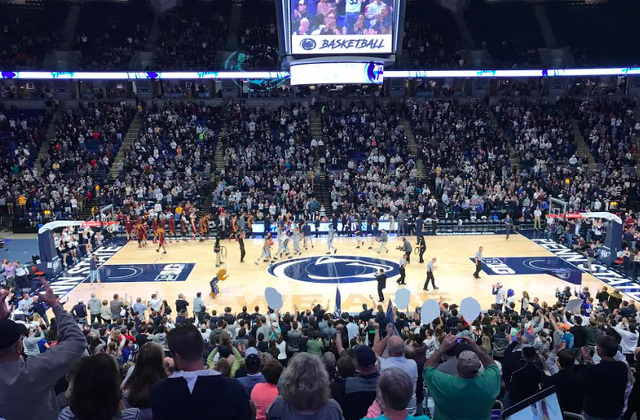 In a game that Penn State trailed in for only 19 seconds it was the freshman class carrying the load for a total of 53 points and 25 rebounds between the four players, finding their points from all over the court.